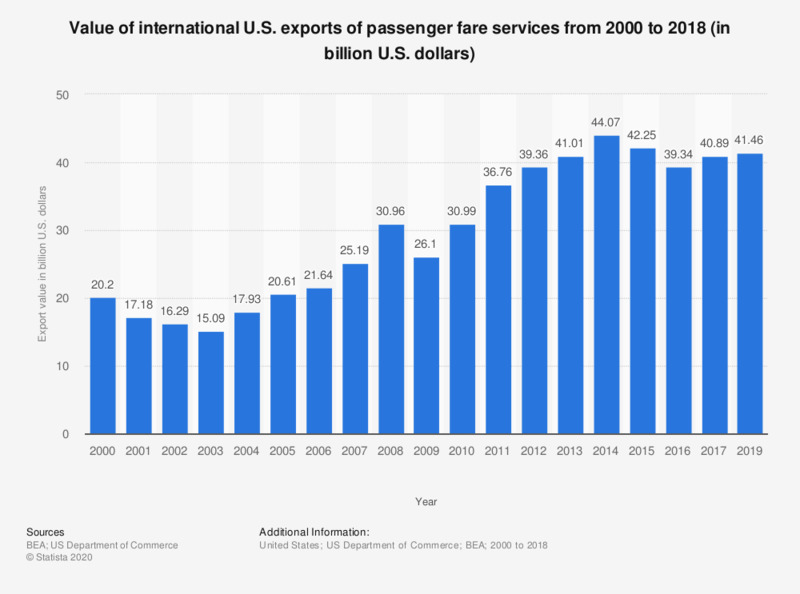 This timeline shows the value of international U.S. exports of passenger fare services from 2000 to 2017. In 2017, the value of international U.S. exports of passenger fare services amounted to 40.61 billion U.S. dollars. For detailed information on data sources and methodology, see the information section of "U.S. International Trade in Goods and Services" here. Statistics on "U.S. Exports to China"